يحظى فندق Bussells Bushland Cottages بمكان متميز في محور مارجريت ريفر واين ريجيون شواطئ, سياحة, مطاعم في منطقة Margaret River الفاتنة. إن موقعه الجيد الذي يبعد 5km فقط عن مركز المدينة يساعد النزلاء على الاستمتاع بمعالم المدينة ونشاطاتها. يوفر الفندق بفضل موقعة الجيد وصولاً سهلاً إلى أهم معالم المدينة. لقد جهزت هذه الإقامة الفندقية بعناية فائقة لتوفر مستوى عالي من الراحة. في بعض الغرف يجد النزيل تلفزيون بشاشة مسطحة, اتصال لاسلكي بشبكة الإنترنت (مجاني), غرف لغير المدخنين, تدفئة, شرفة/ تراس. يقدم الفندق خدمات رائعة كمثل حديقة لمساعدتك على الاسترخاء بعد نهار طويل من النشاط والتجوال في المدينة. 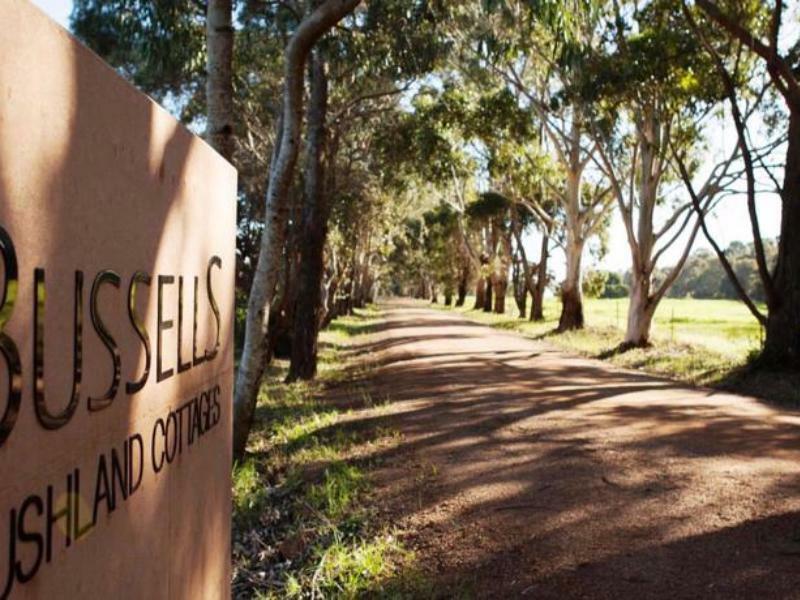 إن Bussells Bushland Cottages هو خيارك لخدمة الفنادق الراقية في مارجريت ريفر واين ريجيون. We really enjoyed staying at the cottage which was well equipped and had all the comforts of home. The setting was incredible with the kangaroos in the nearby paddock as well as some that visited around at night. Would definitely recommend to all. A cosy, clean, rustic and quiet cottage easily located along Carters Road (look out for the 2 bright blue vertical polyester banners in case you can’t see the number 447. The cottage comes with a fireplace (starter kit packed neatly next to it and instructions given in the booklet and/or drawer in the kitchenette); well equipped kitchen and child friendly - an IKEA foot stool was provided and our preschooler could reach the sink when washing up! I liked that there were clear instructions on the recycling and non-recycling as coming from where I live it is not the norm. There was a bird feeder hung outside the cottage which we saw a few species flying over plus a few kangaroos around the property. At night we enjoyed having tea & snacks sitting on the benches & table provided outside and gazing at the stars. I met Gail when heading out and she was a lovely lady. We had privacy although there are about 10 cottages or so. Our kids loved their room away from ours. Driven past these many times over the years but have never previously stayed here. Well that has all changed. These are nice comfortable cottages. 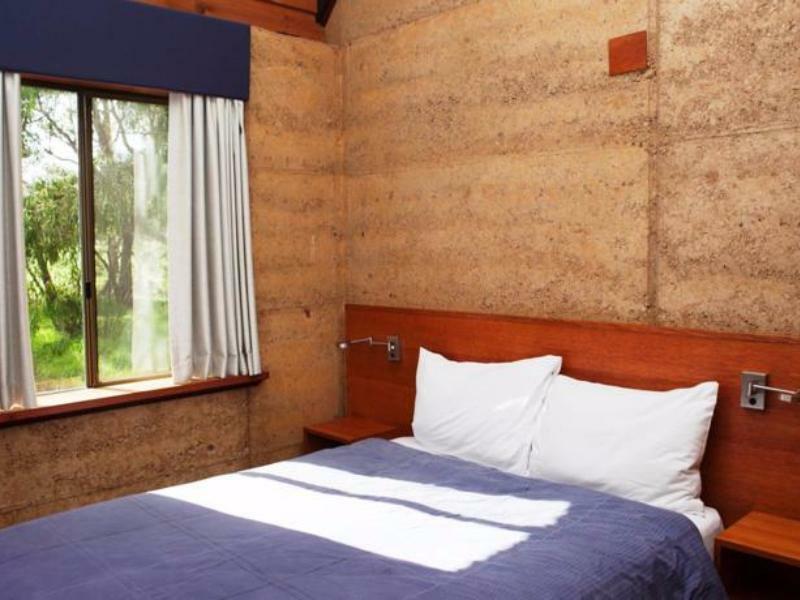 The are clean and with all the facilities you require for a relaxing few days in the Margaret River area. Definitely recommended and we plan to stay here again. You will find Kangaroos hopping about in your backyard. We love this cottage so much. spotless clean, fully equipped kitchen, specious room, big bathroom. Beautiful, quiet and nature environment. You can even spot a wild kangaroo hopping around the property. Would recommend this place for those who love nature and privacy. Will stay gain in future. This is very much a no-frills setup which is also reflected in the price. The friendly and helpful staff makes it a good place to stay as does the location. Loved having Kangaroos outside all the time. Also enjoyed the bushland trails on the site. We arrived not sure of what to expect from a bushland retreat but we need not have been concerned! Our cottage number 6 excelled our expectations and was self contained with great facilities, even a gas fired bbq on the porch. The open plan sitting / kitchen / diner was spacious and there was a welcome package of Margaret river wine, cereals, milk, orange juice and bread. Spotlessly clean throughout and the bedroom was ample with a second available if you needed for family or friends (extra cost). We used the bbq on all 3 nights and ate at the table outside on the porch. After dinner on the first night I went onto a nearby track to explore and was suddenly joined by 2 kangaroos who bounded by 2 metres in front of me, stopped, stared then bounded off again but I did get some photo's before they did. Our stove igniter didn't work but matches were provided so no problem. A wonderful stay and would happily return to experience this idyllic place. Lovely staff, great cottage with excellent facilities. Perfect. Just had a comfortable 4 nights at BBC with our 16months old toddler and we loved it. Booking and check in was fuss free - just collect the keys from board in front of manager office. On our arrival there was a big family of kangaroos right in front of driveway and our little one was super excited. The trees are also colour coded and a card to explain to you their variety in the cottage. Right behind our cottage 6 is a walking trail which we venture out every morning we were there and saw lots of birdlife. At night, turn off all the lights and you will be surrounded by fireflies and star gazing is amazing. only one problem we faced was the cover for the hood above stove dropped down on the first day (luckily didn't hit anyone) and at night when the lights are on lots of flies enter through it. They are harmless of course, just irritating when you are trying to cook. Overall a very pleasant stay and will definitely be back next time we visit MR! We really couldn't have asked for much more. This is a well thought-out accommodation that combined a wonderful self-catered experience with nature. We'll definitely be back! I stayed in Bussells Bushland Cottages 4 years ago. 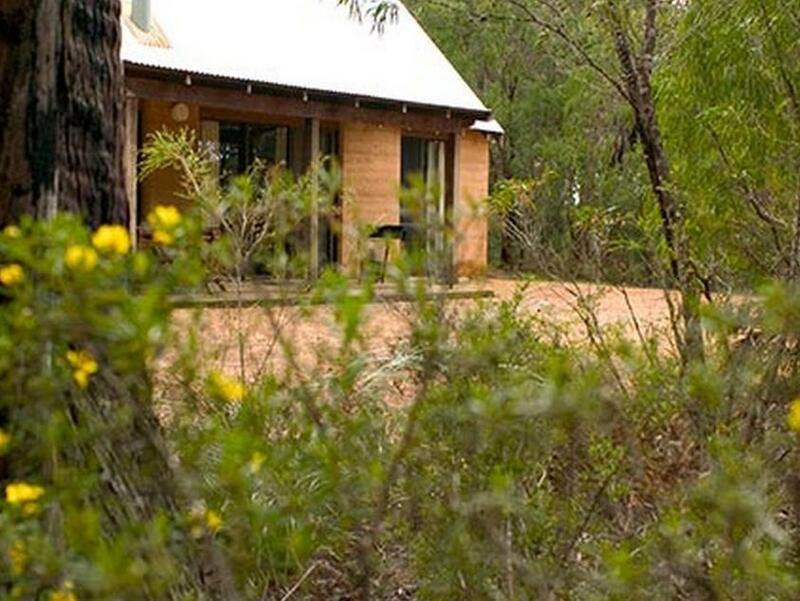 When I decided to visit Margaret River, I booked this cottage again without hesitation! I was not disappointed at all. The cottage was well maintained and I was happy that they managed to get the free wifi connection. My mum was surprised when she saw a group of wild kangaroos near our cottage. Besides all of the above, the cottage is located just 4KM away from town and not far from all the attractions (chocolate factory, wineries etc) STRONGLY RECOMMEND to All!!! The house will furnish. At night we could see bright stars - no light pollution. In the morning, there 2 kangaroos hopping outside the house. Very close encounter with them. Very special stay. You can see kangaroos passing by your yard, or on you way in the car to the cottage. The cottage is quite self-contained and we cooked simple breakfast for kids. It is quite clean. The owner/manager is available in the office only from 7am- 10am. Pros: - spacious, clean - surrounding with bushland, a good chance for city people back to nature and interact with the birds and kangaroos. - bed is comfortable - equip with full cooking utensils Cons - unstability of hot water for shower - sign board for entering the cottage can be make bigger so that it can be easily spotted especially during evening. Accommodation was good. Spaces, clean, able to cook like normal home. We even spotted kangaroos around our apartment in the early morning. You also can find them while walking on the 'Trail Walk' behind the apartment. The only one thing was the aircon heater was not even able to switch on. Blankets are available though. The reception office is only open for 2 hours in the morning daily. So if you have any issue to get them during that time. Overall, a lovely place to stay which is different from normal apartment. Place is surrounded with bushes and natures. If you're looking for peace and quiet this is the place to go. Settled about 5km from Margaret River townsite and within easy reach of many wineries and entertainment areas, this is the place to unwind and relax. A separate cabin is yours to remain private with an excellent bed, kitchen,bbq, tv room with dvd, ceiling fans and bathroom facilities. It's WA version of a log cabin essentially. The only donwside for some may be the lack of internet connectivity or wifi access. Although they are working on this, we were not able to get connected until we reached the end of the driveway. For us that didn't matter as we wanted to be away from that, but its a consideration. Still, we loved it there for the peace, privacy and tranquility of the area. Excellent location, close to town and major attractions. Cottage is clean, well equipped, and provides a unique bush experience with promixity to kangaroos, rabbits, birds ... etc. Staff was very friendly and provided useful suggestions and advice. Will definitely stay here again. Amazing cosy cottage and very well equipped kitchen, more than my own kitchen :-). Lovely gesture of complimentary bottle of wine, cereal, bread and milk for breakfast. Just enjoyed our lazy morning watching families of kangaroos from the window and backyard. Should have stayed longer. Definitely will be back if I have a chance.